A Jewish health care charity has agreed to repay $47 million to state and federal authorities to settle charges of Medicaid fraud. CenterLight Healthcare, formerly known as Beth Abraham Family of Health Services, admitted to having over 1,000 ineligible members in its Medicaid-sponsored long term care plan. CenterLight received monthly fees for each of the ineligible enrollees. It has agreed to pay $18.7 million to the federal government and $28 million to New York State. The not-for-profit is the latest in a growing string of New York Jewish social service charities to face major financial scandal. It follows FEGS, which declared bankruptcy in March amid revelations of large-scale mismanagement, and the Metropolitan Council on Jewish Poverty, whose former executive director is serving a state prison sentence for his part in a 20-year scheme to defraud the charity. Like both FEGS and the Met Council, CenterLight is a member of the UJA-Federation of New York’s network of agencies. CenterLight has received $84,000 from UJA-Federation in the current fiscal year. UJA-Federation declined to comment on the settlement. CenterLight is also audited by Loeb & Troper, the small auditing firm that watches the books for a disproportionate share of New York’s Jewish not-for-profit groups. Loeb & Troper also audited FEGS; YAI, which paid state and federal authorities $18 million in 2011 to settle claims that it had filed false financial reports; and the New York Legal Assistance Group, whose president resigned in 2015 amid a reported federal investigation into “accounting irregularities.” The Met Council’s CFO at the time of its executive director’s arrest was a former Loeb & Troper partner. It’s not yet clear what the nearly-$50 million settlement will mean for CenterLight’s future. Loeb & Troper reported that the group had $190 million in assets at the end of 2013. According to CenterLight’s settlement with the federal government, the share of the repayment destined for the federal government is currently held in escrow by New York State. According to statements from the office of New York State Attorney General Eric Schneiderman, and from U.S. Attorney Preet Bharara, CenterLight enrolled members in its managed care plan through a network of adult day care centers. While the Medicaid-funded managed care plan required that members need nursing home care, CenterLight structured itself to use the plan to provide care through the adult day care centers. CenterLight admitted in the settlement that 1,241 people referred to the plan through the day care centers were either ineligible when they enrolled, or became ineligible and were not removed from the plan. CenterLight received $3,800 per month, a so-called “capitation payment,” for each person enrolled in the plan. 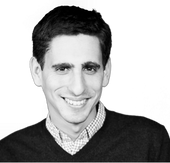 This story "New York Jewish Health Charity Admits $47M Medicaid Fraud" was written by Josh Nathan-Kazis.